Compatible with USB adapters, power banks, solar panels and more. 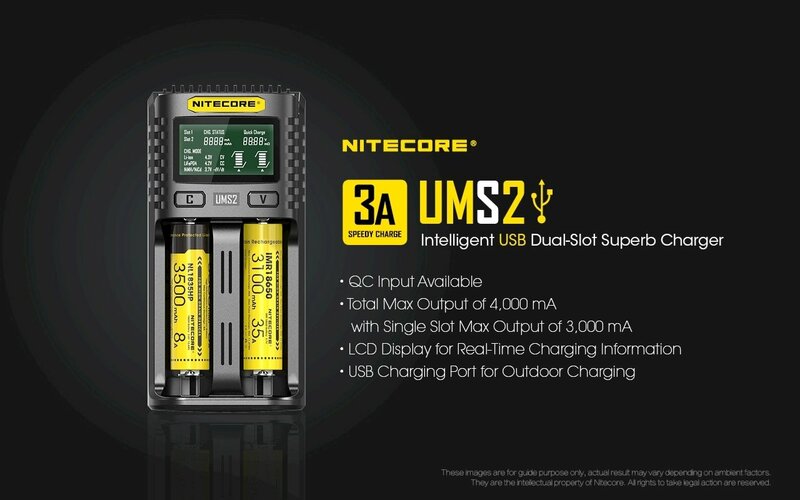 The UMS2’s intelligent charging technology automatically detects and applies the appropriate charging current/voltage while allows users to manually adjust the charging current/voltage for specialized battery types. The UMS2 supports various battery types (li-ion/imr/lifep04/ni-cd/ni-mh) and common battery sizes including (18650, 16340,14500).